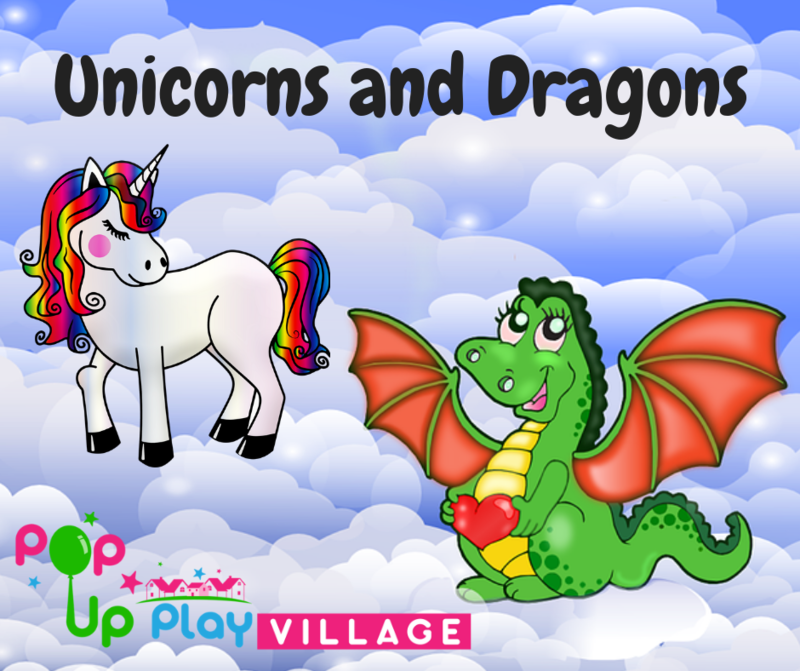 Watch out the magical creatures are about in our play village this March! Grab your little ones and watch out for the dragons swooping into the construction site where we are building castles. Help to make the dragons feel better after their flight at the vets and create your own using our play dough! Word has it that the unicorns are fancying a tea party in the cafe and lovers of magic and sparkle will be able to get creative with items to buy, make and take away in our art studio. We have magical messy play with rainbow unicorn spaghetti and hunting for mystical treasure too. Grab your socks and your sense of fun and book a ticket today! Our sessions are designed for 0-8 year olds but if your child is a dragon or unicorn fan and loves role play then they are very welcome too!